Caroline and I went to the Pumpkin Patch on her first official school bus field trip. She loved being on the big bus with all of her friends! We had a short hay ride to the patch and then the hunting began. Actually Caroline followed her buddies Aubrie and Jack for a good while as she pretended to be looking for just the right pumpkin. Finally she found just the right pumpkin and then we found another one to take home for Tucker. After the pumpkin patch we had a picnic lunch and then checked out all the farm animals. We saw cows, rabbits, sheep, chickens, goats and more. 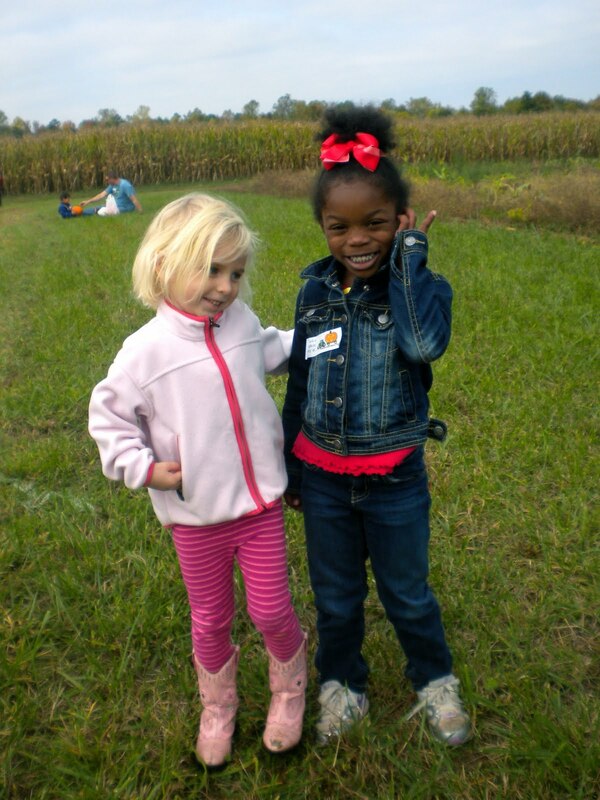 We met up with some of her friends and made our way through a short section of the corn maze. Caroline bounced around from one group of friends to the other. She was Miss Social...shocker, I know! We met up with her teacher again and went into the spooky house and then the bin of corn kernels.